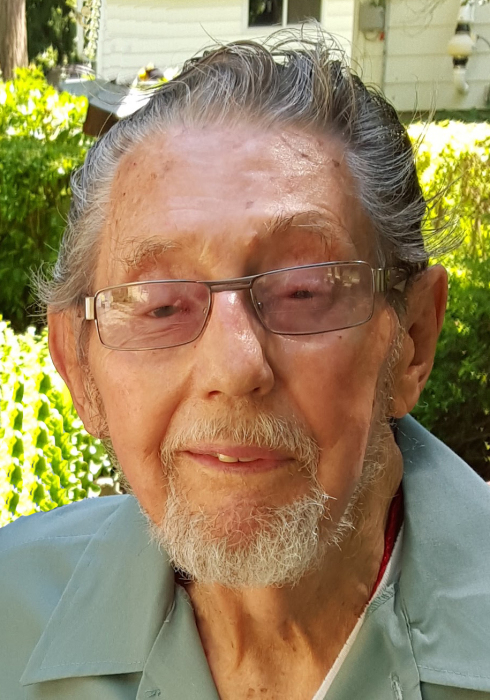 Jerome Mark Heinz, 92, Sturgeon Bay, formerly of New Berlin, passed away on January 19, 2019, at Sturgeon Bay Health Services. He was born on January 15, 1927, in Milwaukee to Joseph and Evelyn (Lucht) Heinz. On September 10, 1949, he married Irene Betty in West Allis, she preceded him in death on November 14, 2017. Jerome worked for Fulton Marine Supplies for many years. Survivors include one son, Steve (Ann Marie) Heinz, Sturgeon Bay; three grandchildren, Stacey (Ben) Kolterjahn, The Woodlands TX; Jessica (Derek) McCarty, Verona, WI; and Lindsey (fiancé, Mike) Heinz, Sturgeon Bay; six great-grandchildren, Jackson, Kennedy, Lily, Luke, Joshua, and Eli. He was preceded in death by his parents; wife; and one infant son, Ronald. Funeral services will be 11:00 a.m. Tuesday, January 22, 2019, at Luther Memorial Church (2840 S. 84th St., West Allis, WI 53227) with Rev. Frank Maxwell officiating. Burial will be in Highland Memorial Park in New Berlin. Visitation will be from 9:30 a.m. until the time of services at the church on Tuesday.